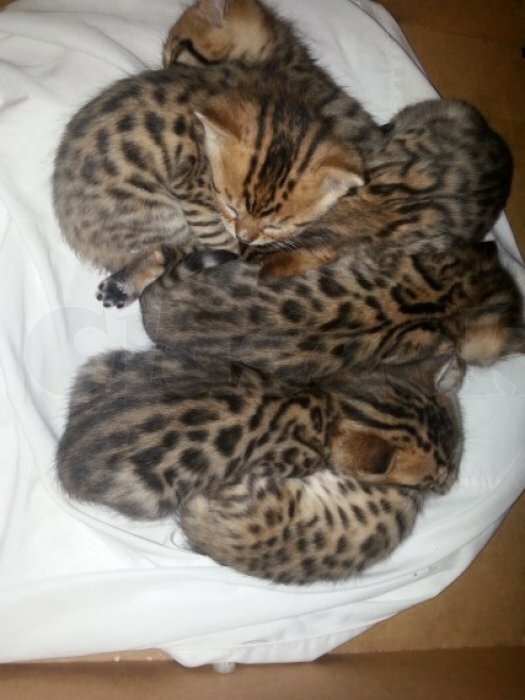 Amazing litter of Bengal kittens. 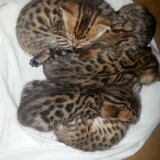 2 Boys and 2 Girls available. 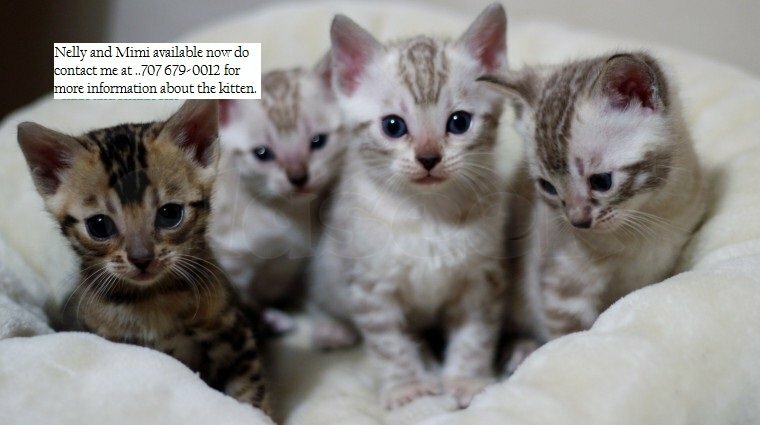 They are born and raised in a family home with children and other pets. They crave human attention and are used to household everyday noises. They are handled daily and are part of our family. Mum is my pampered active queen who also [email protected] has a wonderful temperament and she can be seen with the kittens.